After spending time in the high-intensity urban sprawl of southern California, Big Sur seemed like an alternate realm. Remote and rugged, this 90-mile stretch of land is bordered by the Pacific Ocean and the Santa Lucia Mountains. A single, winding road, Highway 1, leads travelers north and south into and out of the area. Strict property laws have kept Big Sur largely undeveloped, and its three towns consist of only a few buildings each. 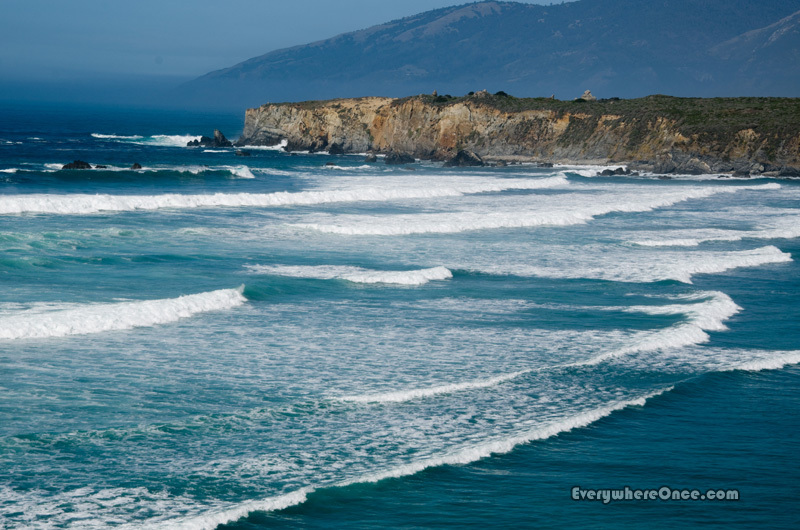 With four days to explore and expectations running high after catching a glimpse of jagged cliffs and dramatic waves on the drive in, we parked the RV and set out to see what “el sur grande” (the big south, as Spanish settlers called it) had to offer. It’s no surprise that U.S. House Representative Lathrop Brown and his wife chose to build a house in the 1920s on land that’s now part of Julia Pfeiffer Burns State Park. 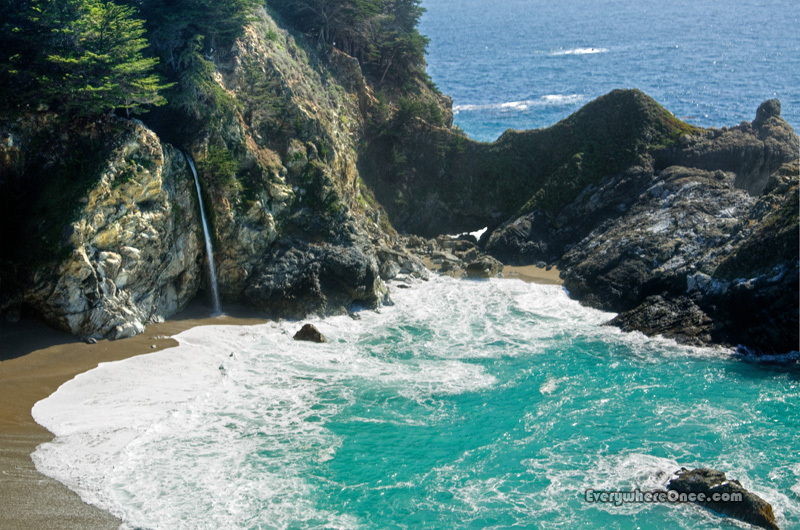 Nearby is an 80-foot waterfall cascading onto a beach, where at high tide it mingles with the turquoise waters of the Pacific. This natural wonder is one of the world’s few “tidefalls,” a waterfall that empties directly into an ocean. 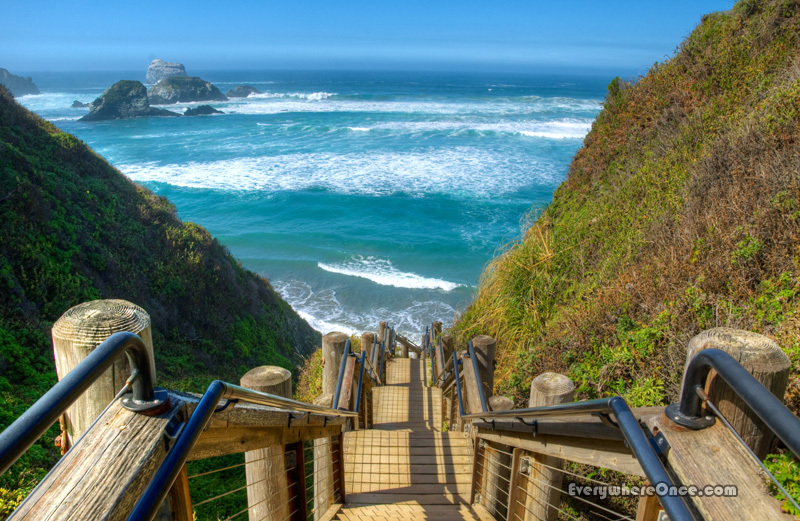 A short, switchbacking trail and steep staircase through a deep valley leads to the longest uninterrupted stretch of sandy beach in Big Sur. Perhaps the most pleasant, too, as the surrounding bluffs protect sun worshippers from the near-constant coastal winds buffeting much of the area. More interesting, for us at least, was this cobblestone-laden section, where the outgoing surf would roll an untold number of rocks whose tumbling sounded like the efforts of a giant popcorn maker. Getting to Salmon Creek Falls . . . 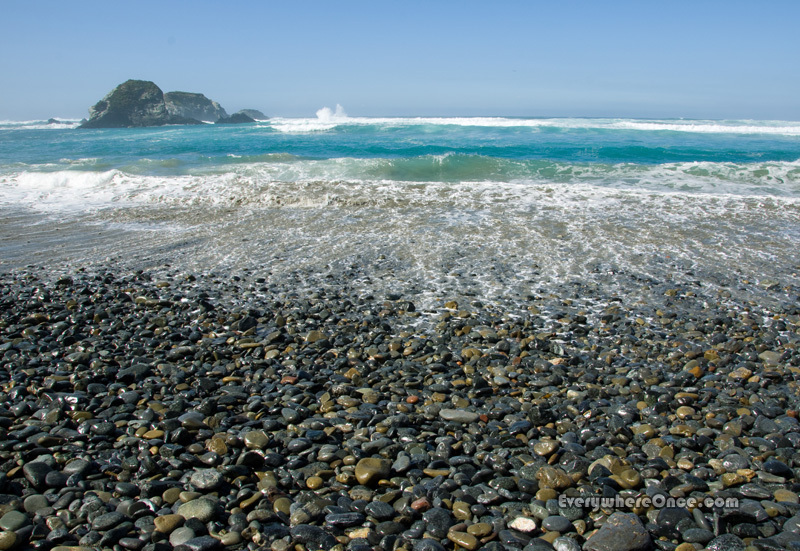 The coastline is Big Sur’s most dazzling draw, but travelers shouldn’t turn their backs on the area’s other side. 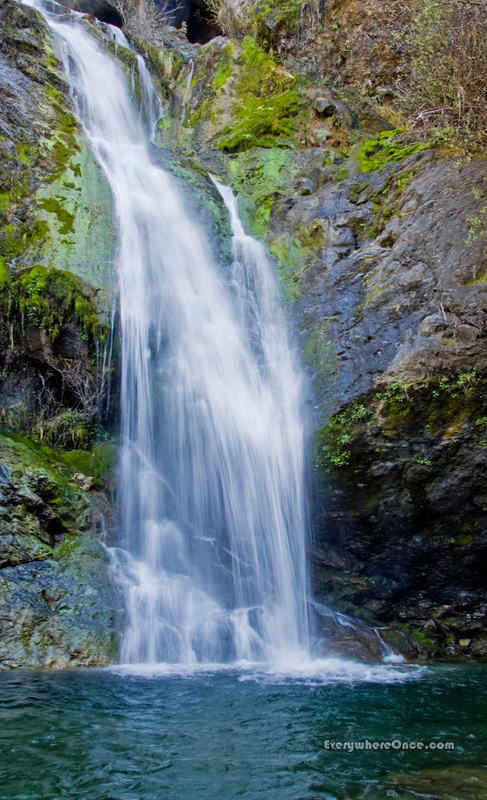 Tucked in the forested mountains, part of the vast Los Padres National Forest, are sights like Salmon Creek’s double water fall. it is entirely worth it. Beautiful — thank you for sharing these pictures. I miss the coast so much! I traveled here about 15 years ago, and I’ll never forget it–along with the cries of the seals. Big Sur is so great. Awesome post! Awesome. Still remember the scenery from my visit 3 years back. We visited the area in March. It is spectacular. 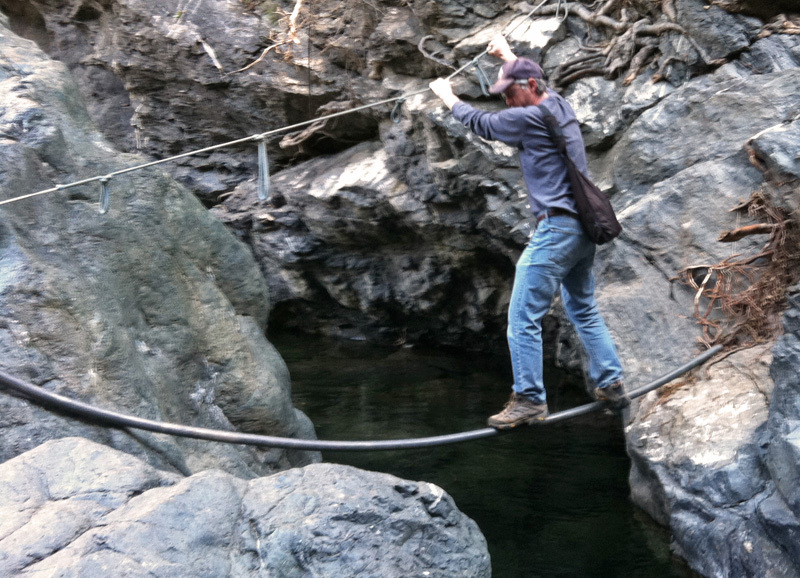 Great images of McWay Fall and Salmon Creek Fall. Don’t get too excited – I don’t have a huge following, but it is certainly stretching my literary horizons, which is a good thing and I hope the mention will inspire a few others too! Karen, thank you so much for highlighting Novel Destinations on your Reading List. I’m glad you enjoyed the book and that it inspired you to read East of Eden. I’m going to check out Stolen — I have yet to visit Australia, a place that fascinates me. Here’s to future literary travels…on and off the page! Hearty yea to that Shannon. Just have to mind the creepy crawlies in Oz frm what I hear! I see you are heading south again, on your way to the Central Valley. We have been in Monterey-Carmel for the weekend. We start down Highway 1 through Big Sur today. We love that part of the world. Enjoy the trip. Hit the electronic silent zone. Have blogs backing up on the wordpressing & photo programs. When we get to Moro Bay later today, I should be able to start catching up. I see how you can get backed up several weeks on your travel postings!